I'm in awe. The images in this book capture humanity at the pinnacle of athleticism and artistry. It feels like a special privilege, holding the first printed copy in my hands. 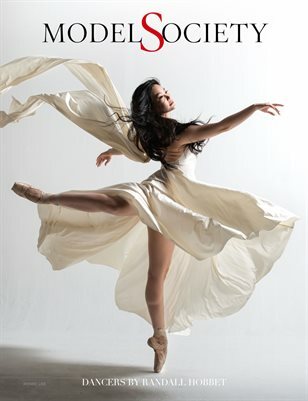 Within this gorgeous publication of photography by Randall Hobbet, 40 of the world’s finest dancers have been captured as they leap, spin and move with such exquisite grace. These dancers have embraced discipline, passion, struggle and creativity to unlock the incredible esthetic potential of the human body. We thought we were going to do an article with Randall's dance images, but as he started sending them, we realized this incredible body of work deserved its own publication. The results are spectacular. This book is a treasure for true connoisseurs of human beauty.